Alaba Report: Monday, June 29, 2015 Petr Cech leaves Chelsea to join Arsenal. How do you Chelsea fans feel about it? Monday, June 29, 2015 Petr Cech leaves Chelsea to join Arsenal. How do you Chelsea fans feel about it? 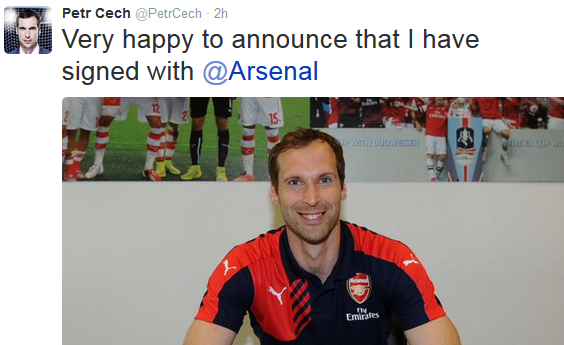 Petr Cech leaves Chelsea to join Arsenal. How do you Chelsea fans feel about it?